At 2018 Black Friday & Cyber Monday shopping season. SanDisk will have their memory cards, HDDs, SSDs for sale at a huge discount. 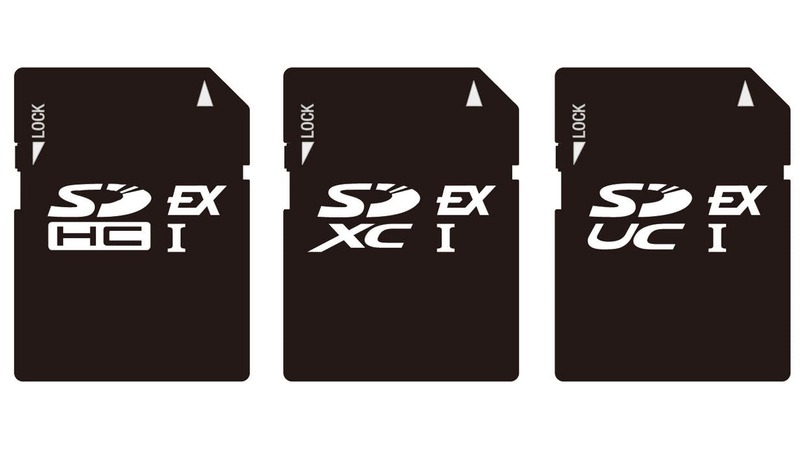 SD Association today announced the latest iteration of the popular SD memory card. SD Express brings a maximum data transfer rate of 985 MB/s, and increases maximum storage capacity to a capacious 128 TB. SD Express adds PCI Express and NVMe interfaces to support the speeds and capacities needed for ever more demanding applications. SD Express will initially be found in SDUC, SDXC and SDHC memory cards, which will also be backwards compatible with existing devices. 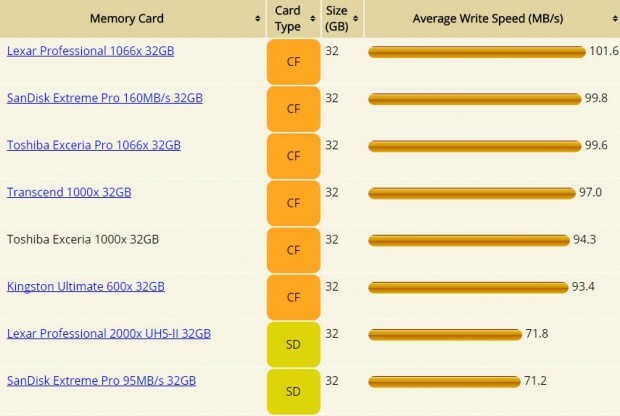 Camera Memory Speed has competed their test of CF card and SD card speed comparison on 50MP Canon EOS 5Ds DSLR camera. From the test result, we can see that most CF cards is much faster than SD cards on Canon EOS 5Ds. 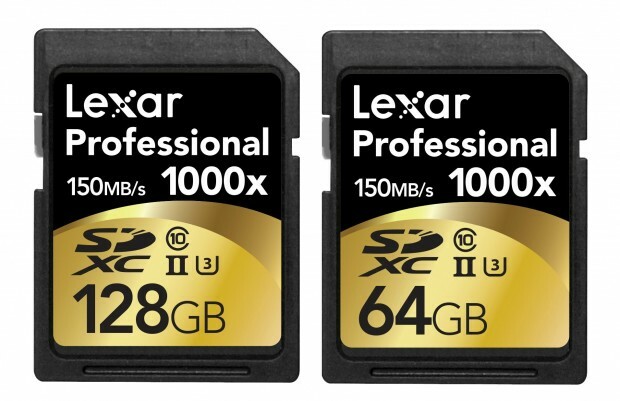 Deal Alert – Lexar 1000x 128GB SDXC (2 Pack) for $139.95 ! 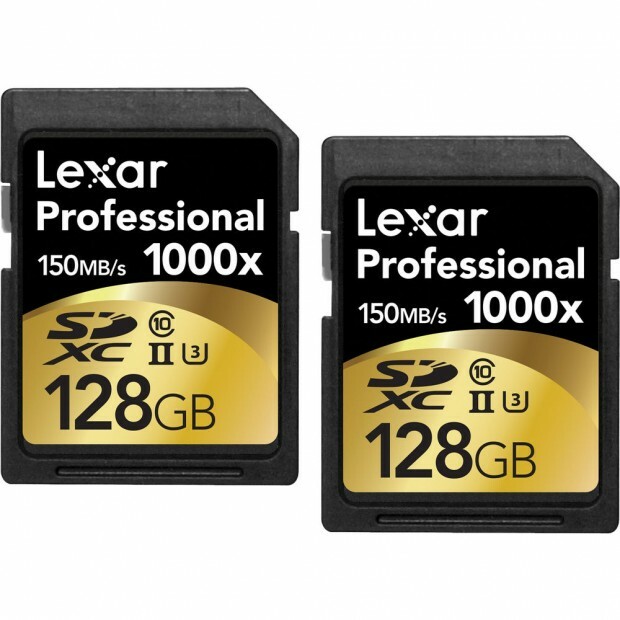 The price for Lexar 1000x 128GB SDXC UHS-II Memory Card (2 Pack) recently get dropped. Regular price was $171.95, now only $139.95. Author CameraeggPosted on May 6, 2015 July 11, 2015 Categories Camera Accessories, Camera Sales and DealsTags Lexar, Memory Card Deals, SD CardLeave a comment on Deal Alert – Lexar 1000x 128GB SDXC (2 Pack) for $139.95 ! Today Only Deal – Lexar 128GB 1000x SDXC Card for $60, 64GB for $34 ! Amazon US today has deals of day for Lexar and Crucial memory. There are two hot deals on Lexar SDXC memory cards. Author CameraeggPosted on April 13, 2015 July 11, 2015 Categories Camera Sales and DealsTags Lexar, Memory Card, Memory Card Deals, SD CardLeave a comment on Today Only Deal – Lexar 128GB 1000x SDXC Card for $60, 64GB for $34 ! 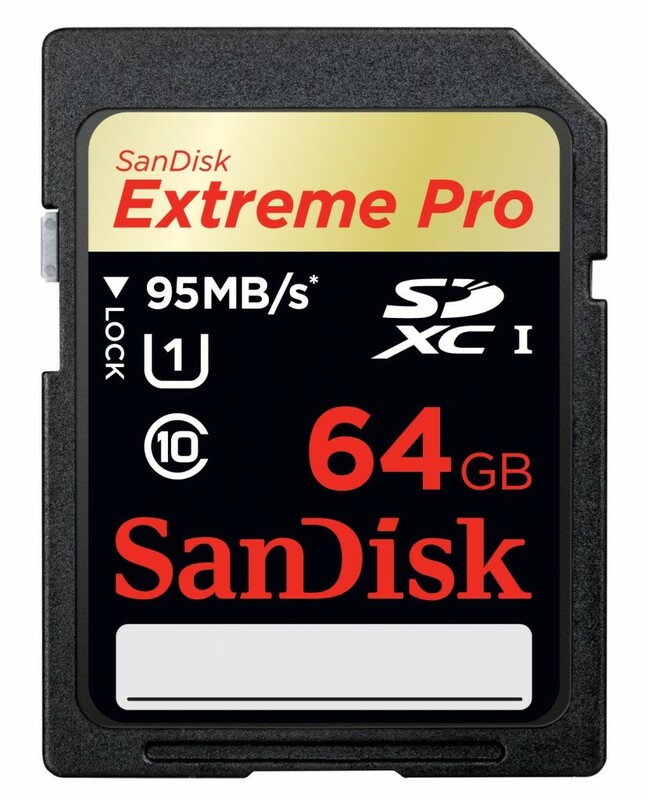 Today Only Deal – SanDisk SD Card up to 75% off ! Amazon.com has several SanDisk SDHC, SDXC cards for sale up to 75% off today only (February 4). This is Amazon’s Gold Box Deals Today. Author CameraeggPosted on February 4, 2013 July 12, 2015 Categories Camera Accessories, Camera Sales and DealsTags Amazon.com, Rebate, Sandisk, SD CardLeave a comment on Today Only Deal – SanDisk SD Card up to 75% off !